bonds and a greener lifestyle. GoElectric encourages exploration, social bonds and a greener lifestyle. Leisure 28 is designed for social interaction and perfectly fitted for on-the-water leisure. Even for dining with a built-in adjustable table and seating for up to 12 people. The table can be lowered to serve as the base for a relaxing kingsize sundeck. The rounded edges and wide hull makes it easy to get in and out. The hull has been developed to provide the most stable platform possible to increase the comfort aboard. The electric propulsion ensures joyful sails without a loud motor running and the smell of gas while sailing. We believe in a healthy earth for all. Our contribution is clean, electric boats. But we feel we can do more; we continously invest in the Amazon rainforrest for protection and restoration. Play 24 by RAND Boats is the ideal offering for easy-to-access fun at sea. Whether alone or accompanied, the easily manoeuvrable 744 cm of functionalistic playfulness is all you need to get the most out of your time at sea. The open daycruiser is divided into three zones, each representing different usability scenarios, from the spacious aft sun lounge expandable through the flip-over pilot backrest, and the three-seat pilot sofa with hydraulic windscreen, through to the comfortable bow-dining area renown also from the popular Picnic 18, all with the aim at bringing maximum joy to its passengers. 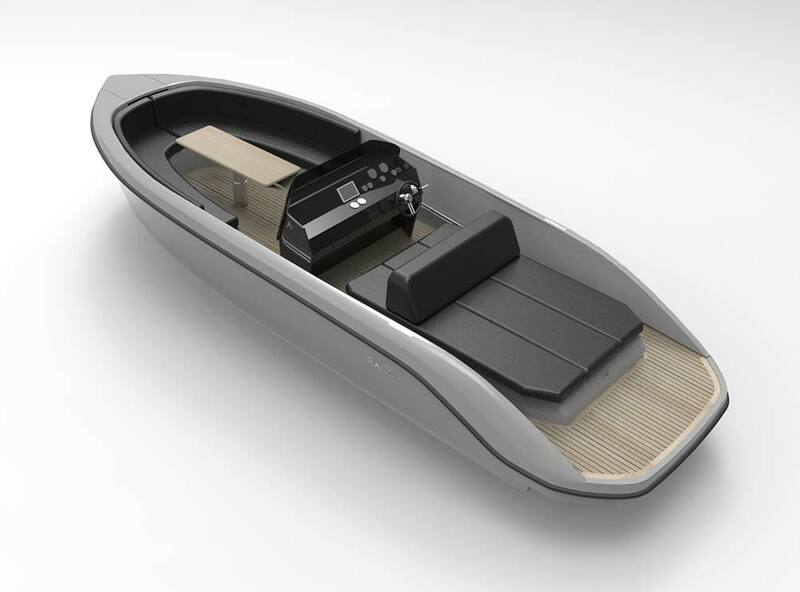 Play 24 comes with electric inboard and outboard engines from Torqeedo ranging from 4-55 kW. Our ambition is to find practical solutions for your Electric boat life. That also includes water-resistant charging-installations. If you want to complete your installation with solar-panels we have professional partners that offer these services. The SAY 29 RUNABOUT spells pure performance. 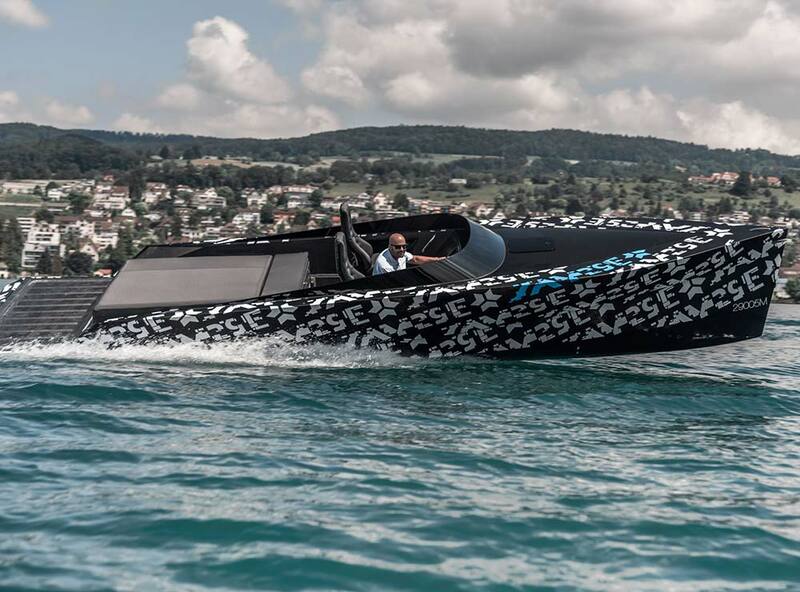 Its carbon composite hull weighs as little as 380 kilograms. Thanks to its low weight, the boat achieves the breath-taking acceleration of a super sports car even with the 350 hp entry-level engine. 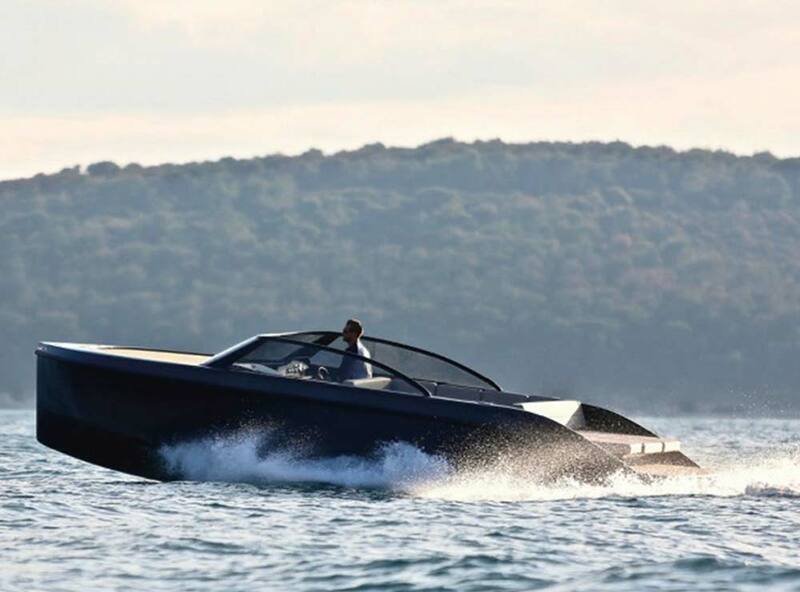 With the premium 483 hp power plant by Ilmor, the SAY 29 RUNABOUT reaches a top speed of 60 kn (Petrol version)(115 km/h). Every detail is optimised for speed and agility, and all components are perfectly matched. The custom design, the typical ‘wave cutter’ bow and the side wings of the ultralightweight carbon hull ensure maximum stability while enabling incredible cornering speeds. The hull guarantees easy handling, even in waves. The SAY 29 RUNABOUT can be fitted with the customer’s preferred engine, painted and equipped to customer specification.